Worried about indulging in cake and gaining those extra pounds? You can now eat this sweet delicacy without any guilt. Don't believe us? This home-baker from Undri not only customises fancy cakes for all the occasions but also makes it with healthy ragi, suji flour, and whole wheat flour. Nandu's Oven by home-baker Nandita Vakil is a healthy and tasty solution for all your cravings. Not just cakes, she also bakes brownies, cupcakes, muffins, and cake pops starting at just INR 150 per kg. Not a fondant fan? You can also choose from a variety of frostings such as cream cheese, ganache, butter-cream icing or the simple whipped cream one. We loved the Rasmalai cake which had the sweetness of the dessert and flavour of the traditional cake amongst other cakes of different flavours. The cakes are fancy, tasty and in any shape or size you want. We loved the customised theme cakes she makes which start at INR 1000 per kg. If you want to opt for a mix of whipped cream and fondant, it starts at INR 1,500 per kg. 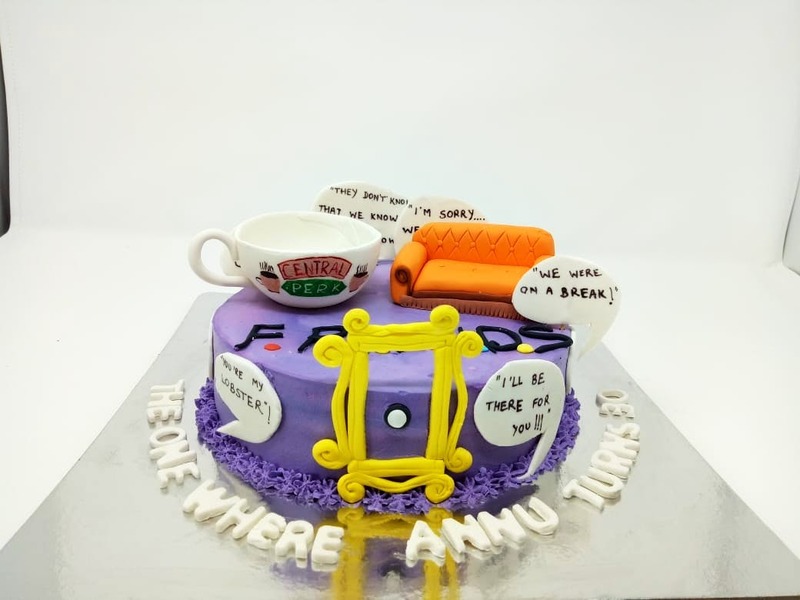 Right from pop-culture cakes such as GOT Theme to F.R.I.E.N.D.S theme, Pokemon to cartoon cakes, Zoo cakes to Figure one or even naughty cakes for Bachelorettes, tell her the occasion and have your sinful delight delivered at your doorstep. To place the order, ping her on WhatsApp or give her a call. Visit her Facebook page Nandu's oven to check out her designs. She has designed more than 200 cakes. We strongly feel she should have her own website. Kids, Big Group, Family, and Bae.